What is Hindustan Zinc Limited? Hindustan Zinc is a metals and mining company with its principle operations spread over majorly in Rajasthan and Andhra Pradesh, India, which produces zinc and lead as main products and silver, cadmium and sulfuric acid as by-products. Where is Hindustan Zinc listed? Hindustan Zinc is listed in National Stock Exchange of India Limited (NSE) and Bombay Stock Exchange (BSE) of Indian market. Our Bloomberg ticker is HZ: IN. How many people does Hindustan Zinc currently employ? Hindustan Zinc employs 6,661 people as on 31 March 2009. 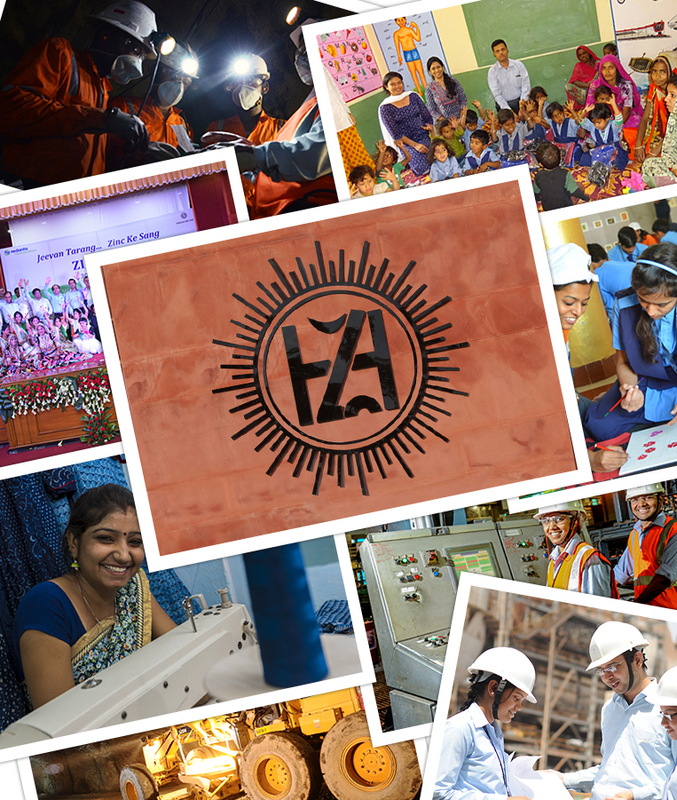 What is Hindustan Zinc's Vision and Mission? Be a world-class zinc company, creating value, leveraging mineral resources and related core competencies. Be a lowest cost zinc producer on a global scale, maintaining market leadership One million tonne zinc-lead metal capacity by 2010 Be innovative, customer oriented and eco-friendly, maximizing stake-holder value. What is the production capacity of Hindustan Zinc? What is the per capita consumption of zinc? What is the current position of reserves & resources? As on 31 March 2009, Hindustan Zinc is having a total reserves & resources of 272 million tonnes. What is the life of mine with the current reserves & resources? The life of Hindustan Zinc mines with the current reserves & resources along with the production capability of nearly one million tonnes is more than 20 years. Are the reserves & resources audited? Yes, the reserves & resources reported by Hindustan Zinc is audited as per JORC standard. What is the cost of production of zinc in FY 07? Why the Smelters are situated far away from the mines? Based on the feasibility study and availability of water the smelters are situated in Chanderiya, Debari in Rajasthan and Vizag in Andhra Pradesh. Why one smelter is situated in Vizag in Andhra Pradesh? The vizag smelter was built during the Public sector undertaking of the company and was located based on the imported zinc concentrated in order to import the concentrate. Five year Production and Financial Summary? Are you planning further to expand the Wind Energy Capacity?